Devoured Culinary Classic ready to woo and wow! Devoured (www.phxart.org/devoured). Independently edible award-winning culinary event, a showcase of Arizona’s finest local restaurants, chefs, wineries and industry purveyors in a distinctly Phoenix setting. Hosted by Phoenix Art Museum, benefiting Local First Arizona and Phoenix Art Museum, and produced by R Entertainment Co.
Phoenix Art Museum (1625 N. Central Ave) Central Avenue and McDowell Rd. 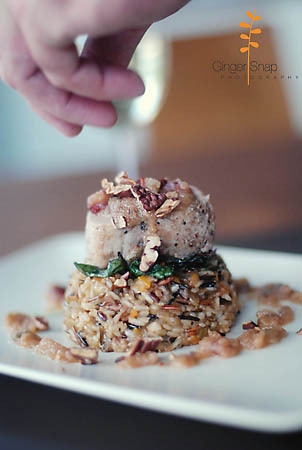 A grand tour of Arizona’s finest culinary talents & pioneering winemakers…Taste, discover & meet them – up close & personal. Daily Tickets. $59 through March 11; $69 at the door. Two-day Tickets. $90 in advance through March 11. $118 at the door. AJ’S Fine Foods Dessert Lounge. A new feature inside Phoenix Art Museum’s Great Hall featuring AJ’s bakery specialties; Urban Cookies, Delicious Dishes and Espressions Coffee Roastery. Named one of 5 Best Dining Developments of 2010 by The Arizona Republic’s food & restaurant critic Howard Seftel, (second only to reopening of Nobuo at Teeter House).